Compatibility: Requires iOS 10.14.3 or later. 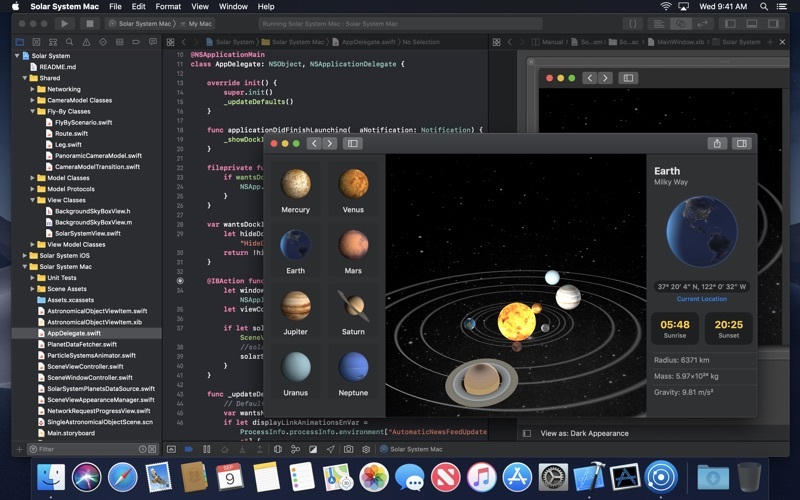 Xcode includes everything developers need to create great applications for Mac, iPhone, iPad, Apple TV, and Apple Watch. 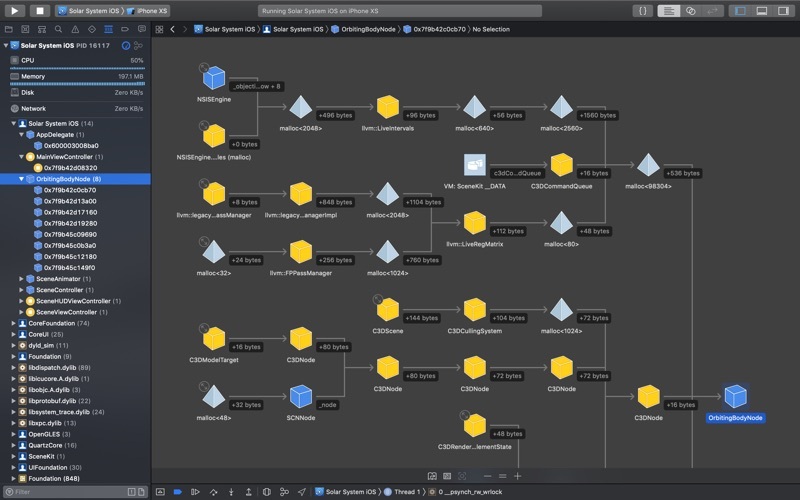 Xcode provides developers a unified workflow for user interface design, coding, testing, and debugging. 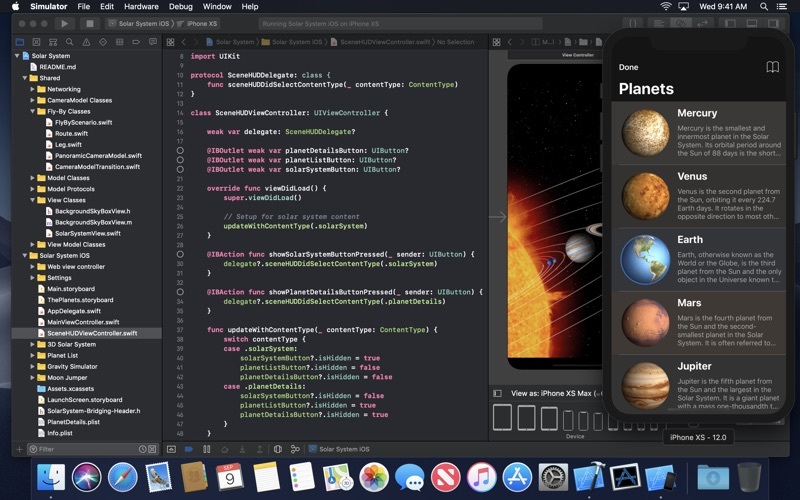 The Xcode IDE combined with the Swift programming language make developing apps easier and more fun than ever before. 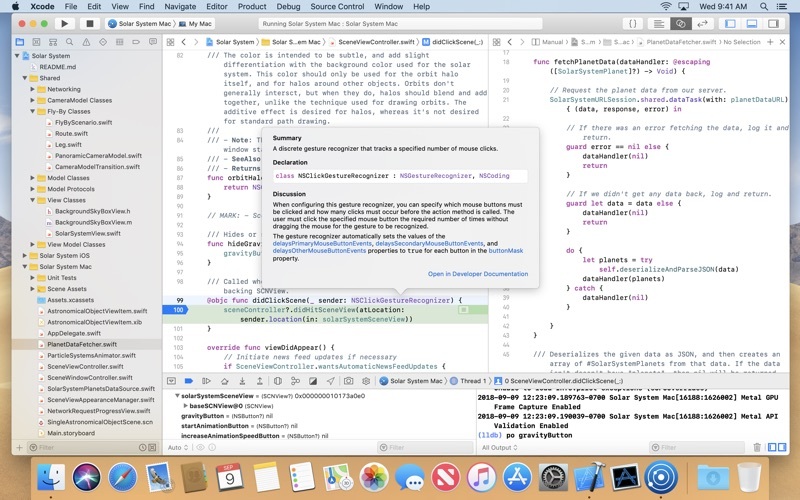 Xcode includes the Xcode IDE, Swift and Objective-C compilers, Instruments analysis tool, simulators, the latest SDKs, and hundreds of powerful features: Innovative tools help you create great apps • Swift is a revolutionary, open source programming language that is safe, fast, and modern • Playgrounds are a fun way to experiment and interact with Swift code • Interface Builder displays pixel-perfect UI for each target device and can edit at any zoom level • View debugging shows a 3D stack of all your app's UI view layers at runtime • Assistant editors show content related to your primary task • Live Issues display errors as you type, and Fix-its can improve your code with just a click • Source Control navigator makes it easy to manage code across a team Interface Builder makes it easy to design your interface without code • Storyboards let you arrange the complete flow of screens within your app • See your custom controls rendered live within the design canvas • Customize your interface for different devices, screen sizes, and orientations • StackViews make it easy to reason about the layout of each section of your interface • Create connections from your GUI design directly to the related source code Professional editor and debugger keep your code front and center • Refactoring makes it easy to modify the structure of Swift, Objective-C, C, and C++ code • Hit a few keys and Open Quickly will instantly open any file within your project • Data tips show a variable's value by hovering your mouse over the code as it runs • Quick Look variables while debugging to see the actual color, bezier path, image, and more • Third party app extensions can add new capabilities to the source editor Test driven development is built right in • Use the Test Navigator to add, edit, or run unit tests or user interface tests with just a click • Test Assistant makes it easy to edit your code and related tests, side-by-side • Create continuous integration bots to automatically build and test your apps • Analyzer travels countless code paths looking for logical errors before they become bugs Instruments makes performance analysis beautiful • Compare CPU, disk, memory, and GPU performance as graphical tracks over time • Identify performance bottlenecks, then dive deep into the code to uncover the cause • Analyze your app directly, or sample the entire system, with very little overhead • Create custom instruments with unique visualizations to analyze your own code and frameworks To test or deploy applications on an iOS device, Apple TV, or on Apple Watch all you need is a free Apple ID. To submit your apps to the App Store you must be a member of the Apple Developer Program. Some features may require Internet access. How is this not supported in split screen view? It would be so useful to have this coding app side-by-side a YouTube coding tutorial. Please add support. This is becoming a bit of an emabarrasement that you guys are expecting your devs to write good code, when the tools you keep releasing for us to use, seem to get more unstable and crash more and more frequently with every new release. This version is barely usable it is crashing so frequently. If I could give it zero stars i would. Please guys, give us tools that actally work and dont crash constantly. I was forced to update to Mojave in order to update Xcode in order to debug on iOS 12.2. That already was a little frustrating. Now it is constantly crashing or I just can't get anything to build onto a device. It say no device connected when it clearly is or it will say the app is running when it clearly is not. I have to contanly relaunch the app to get anything done. Super frustrating and makes it very difficult to work efficiently. I have used many IDEs and I've been using Xcode for 2 years now. I don't have any complains. There are some minor glitch here and there like missing color formatting sometimes. But it's quickly resolved by just typing something on the code. Other than that... I don't know what the other users are complaining about. It says I don't have enough space, but I have over 50GB of space! It seems that the App Store doesn't use the same free space reported to the user and it counts purgeable space as used. 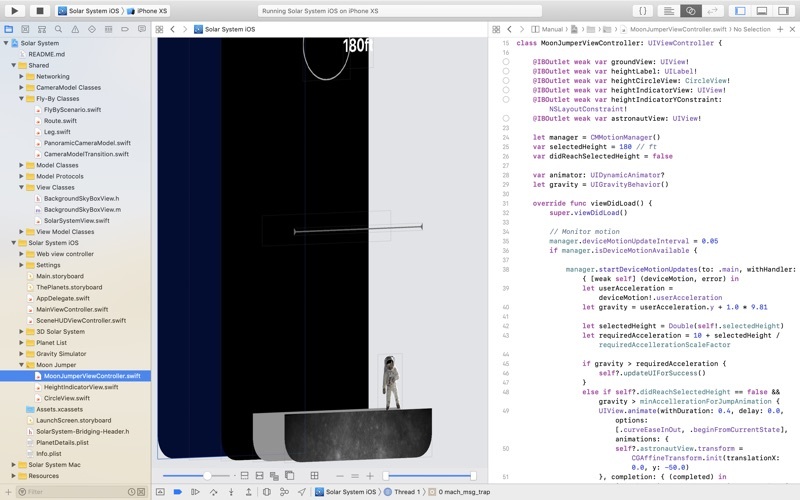 After using Android Studio, Visual Studio for Mac, and numerous other IDEs, Xcode is ultimately my favorite.